1 Who is Mozhan Marno? 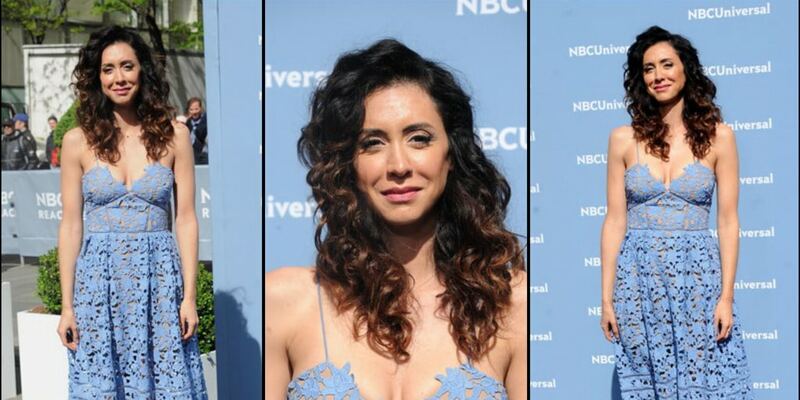 Mozhan Marno was born on 3 May 1980, in Los Angeles, California USA, of Iranian descent, and is an actress, probably best known for her roles in popular television series such as “Blacklist” and “House of Cards”. She’s also been seen in several films throughout her career. How rich is Mozhan Marno? As of mid-2018, sources estimate a net worth that is over $1 million, mostly earned through a successful career in acting, for which she has been nominated for awards thanks to her performances. She’s also lent her voice for video game projects, and as she continues her career, it is expected that her wealth will also continue to increase. Mozhan’s parents were both originally from Iran, but they met in California. Not very many details have been shared about her childhood, or how she developed an interest towards an acting career. It is known that she attended Phillips Academy, Andover, Massachusetts, and after matriculating, she enrolled into Barnard College of Columbia University, where she studied French and German comparative literature. After completing her bachelor’s degree, she went to Yale School of Drama to complete a Master’s degree in acting. She initially began her career by appearing in supportl roles in several television series, such as “the Unit”, Shark”, and “K-Ville”. She also had similar roles in the films “Charlie Wilson’s War” and “Traitor”. Marno started to gain popularity when she was given the title role in the 2008 Persian language drama film “The Stoning of Soraya M”, which tells the story of a husband falsely accusing a woman of adultery, resulting in death by stoning, and stars Academy Award nominee Shhreh Aghdashlop. She subsequently had more television roles, appearing as a guest in popular shows such as “Bones”, “The Mentalist”, “Hung” and “Ringer”. She also took part in an untitled John Wells Medical Drama pilot which, however, was never aired. In 2011 Marno tried her hand at voice acting work, when she lent her voice to the video game “The Elder Scrolls V: Skyrim”, voicing the Master Wizard of the College of Winterhold, Mirabelle Ervine. The video game was developed by Bethesda Game Studios and is the fifth main installment of the series following “The Elder Scrolls IV: Oblivion”. In 2014s she starred in the directorial debut of Ana Lily Amirpour, the film “A Girl Walks Home Alone at Night”, which was also produced by Elijah Wood under his company The Woodshed. The film showcases the actions of a lonesome vampire, set in an Iranian ghost-town, and was tagged as the first Iranian vampire Western during its promotions. During the second season of the television series “House of Cards”, Mozhan was cast as Ayla Sayyad. The series is an adaptation of the BBC miniseries of the same name, which is based on the novel of the same name created by Michael Dobbs. It is set in Washington, DC, following the story of Congressman Frank Underwood played by Kevin Spacey, who initiates an elaborate plan to attain power, alongside his wife. The series proved very popular, and would win numerous awards during its five seasons, before being cancelled following sexual misconduct allegations against star Spacey. Mozhan stayed for two seasons of the show. 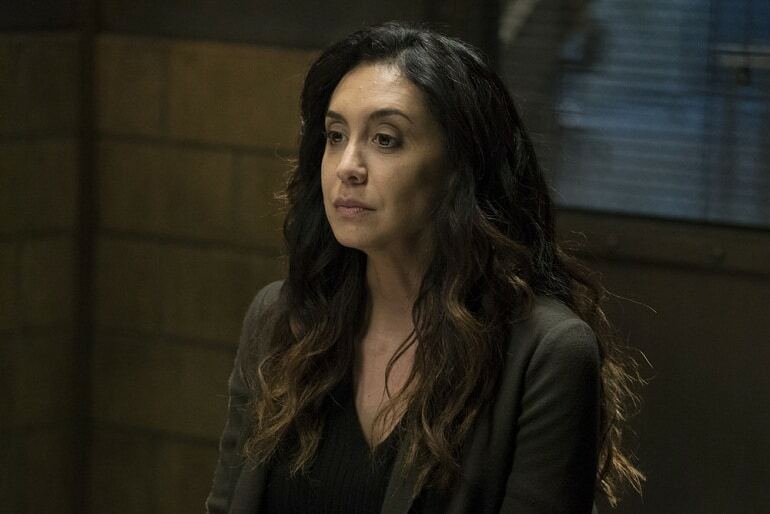 Mozhan was also cast in the TV crime thriller series entitled “The Blacklist”, starring James Spader and Megan Boone, the story following a former US Navy officer turned high profile criminal, voluntarily surrendering to the FBI having a list of the most dangerous criminals in the world in exchange for immunity. One of his conditions is that he works for a rookie FBI profiler by the name of Elizabeth Keen. Mozhan appeared on the show from the second to the fifth seasons, as Mossad agent/assassin Samar Navabi. In recent years, Marno has been involved in a lot of directing work and screenplay writing. Her first full feature length screenplay entitled “When the Lights Went Out” was a quarter finalist for the Nicholl Fellowship, and was later adapted into a play. She also has a short film entitled “Incoming” which was accepted for several film festivals. Very little is known about the romantic side of Mozhan, as it is an aspect of her life that she likes to keep private, staying mostly away from the media. There haven’t even been any rumors of relationships. It is also known that Mozhan has lived in several countries, including France, Sweden, Argentina and Germany. She also speaks Spanish, French, German, and of course Farsi.